Had an early Crossfit workout today, but before I head to work I must refuel! This means Paleo Breakfast time… My personal favorite. 1. In a skillet, heat coconut oil and fry eggs on both sides, drizzle hot sauce on top. 2. 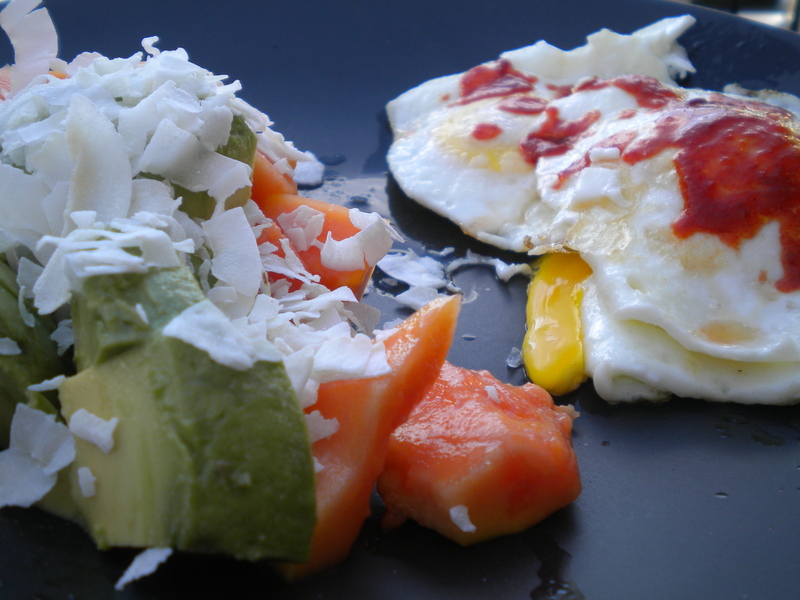 Cut up papaya and avocado into chunks and mix with lime and coconut flakes.